In the UK in 2017, some 22,575 people began their journey to train as nurses across 80 universities. Along with this September’s new starters they are part of a long tradition of students stretching back to 1860 when the Nightingale Training School opened. Based at St Thomas’s Hospital in London, it was one of the first institutions to teach nursing and midwifery as a formal profession. The first curriculums addressed nursing practice, with instruction focused on the need for hygiene and task competence (Nightingale, 1898). Before this, nursing was seen as an apprenticeship, and often undertaken in religious institutes. From the 1860s onwards, nurse education was shaped not just by practical concerns, but by women like Ethel Gordon Fenwick, a nurse who campaigned for a nationally recognised certificate for nursing. She and others helped to push nursing education from a training in physical competencies towards professional status by safeguarding the title of ‘Nurse’ through formal registration (Blane, 1991). 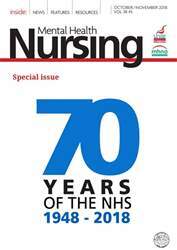 As nursing became more established, a new role was created in 1940 - the State Enrolled Nurse (SEN). SEN’s were formally recognised as a nurses after two years of training and received a grant to complete their studies.